Interested in hosting a wine tasting party? I personally love doing wine tastings and am often asked do them for my clients. They are fun and after the first or second taste everyone will discover that wine makes friends of us all. Whether you are merely pairing wines with specific cheeses, or doing a vertical or horizontal tasting, you are sure to notice new nuances in both red wines and white wines as a result of the focused tasting. The first thing you will need to determine is the the number of guests you will have, many say eight is a good number, others say 12, personally I feel anywhere between 8 and 16 is manageable. If possible, try to invite one guest who is knowledgeable about wine (or invite me) to help discuss the wines, origins and flavors. Also consider how many wines you will be sampling. 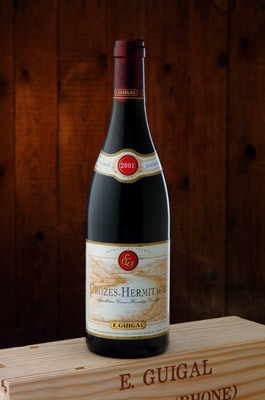 Some sommeliers recommend between four and six wines, others say between six and twelve wines. I like to land somewhere between eight and ten wines and often serve ten wines at a tasting. To make your wine tasting party a bit more challenging, try offering a “blind tasting” experience. It can be the perfect way to go, because the guests will not know which bottle or wine they are tasting. No don’t blindfold your guests—that could be dicey with red wine and spillage. What we do is bag the wine bottles to conceal their identities. Blind tastings require creative techniques in concealing the wine and the marking/numbering of each bottle. The simplest method is to “brown bag” the wine and seal the bag with tape and write the number on the bag in magic marker. You can cover the bottle in aluminum foil and again number the bottle with magic marker. Or you can do what I like to do: I have pretty little wine bags that I tie with ribbon, each ribbon has a number attached to it. These bags effectively hide the wine and disguise the shape of the wine bottles which can sometimes be a clue in determining the type of wine. Of course, to make it even more difficult, you could also serve the wine in a black wine glass to mask the color of the wine. When sampling, I like to have wine tasters taste each wine on its own, then again paired with food or cheese and identify the changes that occur when paired with food. It can be amazing to find a wine that you thought was only so-so, when sipped with a perfect pairing, will positively sing to you and become your new best wine friend. You don’t need to offer a wide variety of foods, simple crackers or bread works in a pinch to cleanse the palate. I often use oyster crackers, they’re small, taste great and cleanse the palate between wines. Encourage your guests to incorporate all of their senses to identify the respective wines based on their personal likes and dislikes. Allow your guests to consult and compare notes as well. Because blind tastings commonly involve the identification of a favorite wine and flavor profiles, you will find a great deal of “back and forth” tasting and comparison- and some lively conversations will ensue as the tasters try to determine the wines they are sampling. Why do I like blind tasting? Blind wine tasting helps to ensure impartial judgment of a wine. A taster’s judgment can be prejudiced by knowing details of a wine, such as geographic origin, price, reputation, color, or other considerations—this way there are no preconceptions. For example, people expect more expensive wine to have more desirable characteristics than less expensive wine. When given wine that they are falsely told is expensive they virtually always report it as tasting better than the very same wine when they are told that it is inexpensive. That’s why, blind tasting can be so much fun, you need to rely on only your taste buds, not some wine writer’s taste buds. Often you’ll be pleasantly surprised to discover you have preferences for wines that perfectly suit your budget. Therefore, it’s always a good idea to conceal wine prices until the end of the evening. That’s all there is to it, so select some wines and call a few friends and get tasting! If you need help with your tasting, I’m available. Cheers! • Color -clear, cloudy, shny, straw yellow, yellow green, golden yellow, amber, deep ruby, chery red, garnet, brick, brown at rim, and so on. • Nose -sweet, fruity, crisp, musty, Fresh cut grass, etc. • Flavors -crisp, light, zingy, full, smooth, balanced, oak, tight, alcoholic, etc. • Eight to sixteen people is about right for a blind wine tasting parties. • Pour about 2 oz of wine in each glass. Make certain you have enough of each wine. One bottle of wine can easily be poured in 2-ounce amounts for 12 (an average 750ml bottle holds about 24.5 ounces). • Set a theme for the wine tasting. • Provide simple hors d’oeuvres for the guests. Mild cheeses and crackers are a good choice. They help neutralize the palate between wines. Pick food that can help rinse the pallet without overshadowing the wines. The simplest – get some bread. • Bag the wines and use tape (or rubber bands) to tape the bags to the bottles so that they do not slip during pouring. For more aesthetic effect, you can use aluminum foil. Label them alphabetically (A,B,C…) Using numbers can get quite confusing when you are sharing your tasting notes and scores. • Prepare a tasting note guide and answer sheet for your guests. This preparation will make your night so much easier – they save you from explaining yourself hundred times. Also, your guests will learn more about wine. • Have a jug of water and a water bucket out so your guests can rinse their glass between each tasting.